Long time ago, I used to do a lot more travels and treks. Yeah! really long time ago is what I feel now. Anyway, It was an invitation for my friend's wedding at Hubli, gave me some hope of seeing some magic in nature. 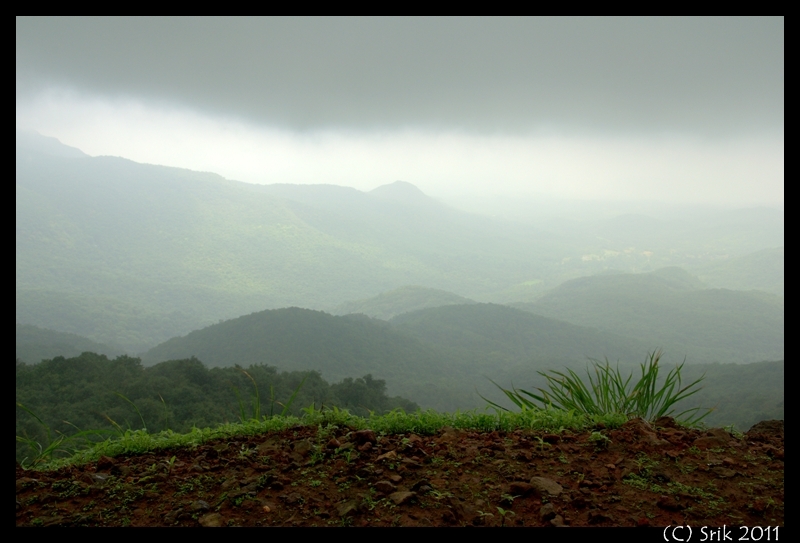 After the two day wedding, it was a blissful weekend to be accommodated in a green patch of western ghats. So, I went with my friends. 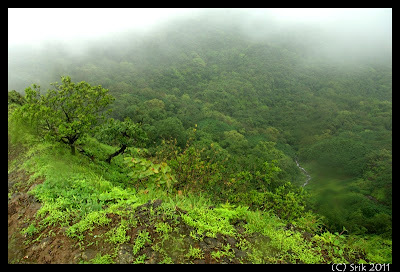 We decided to go to Amboli, that is considered as the rain heaven of Maharashtra at an altitude of 700 meters. Well, yeah, its in Maharashtra. We stayed overnight in Belgaum on Friday and Saturday early morning we were already in the ghats of Sahyadri hills. The highway that connects Belgaum and the Goa is literally in the heaven. Even though I felt like travelling by bus is a loss, I just controlled my breath until we reached a place that had no visibility. 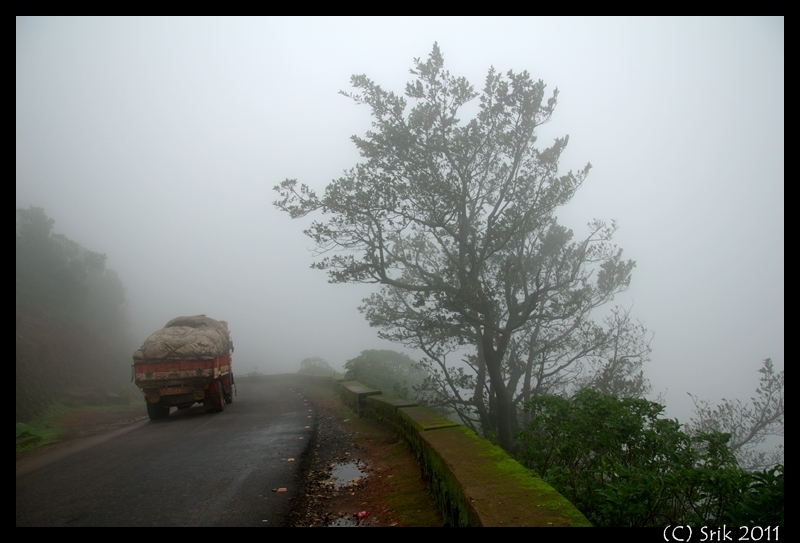 The bus dropped us in the clouds and flew towards the next cloud. And the rains showered on us giving that feeling of comfort that I had not even experienced in my dream. 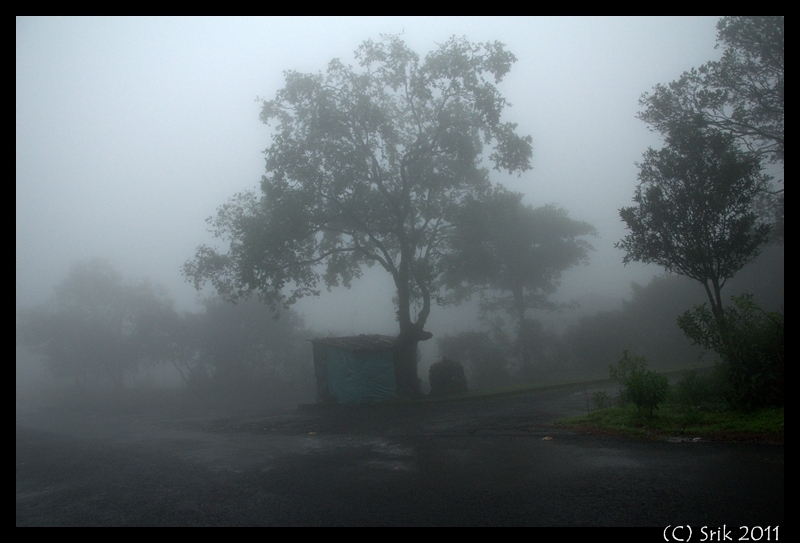 After all, what is the fun of visiting Amboli without the rain? 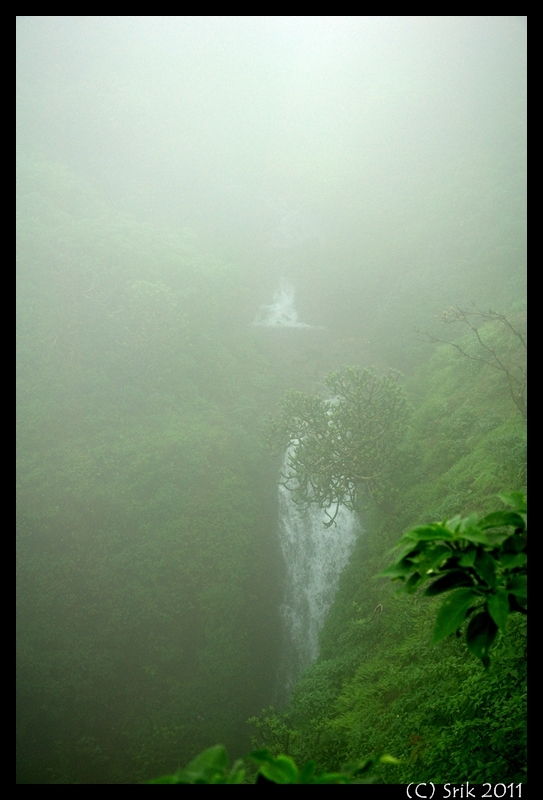 It is told that Amboli gets the incredibly high rainfall in Maharashtra (about 7 meters) and it is fun to experience the rain. And to see some of those beauties that can survive only in the rains. We wanted to walk around the place and we were not particular about visiting any of those tourist attractions. However, Amboli waterfalls attracts every one who visits Amboli and hence we decided to go there. 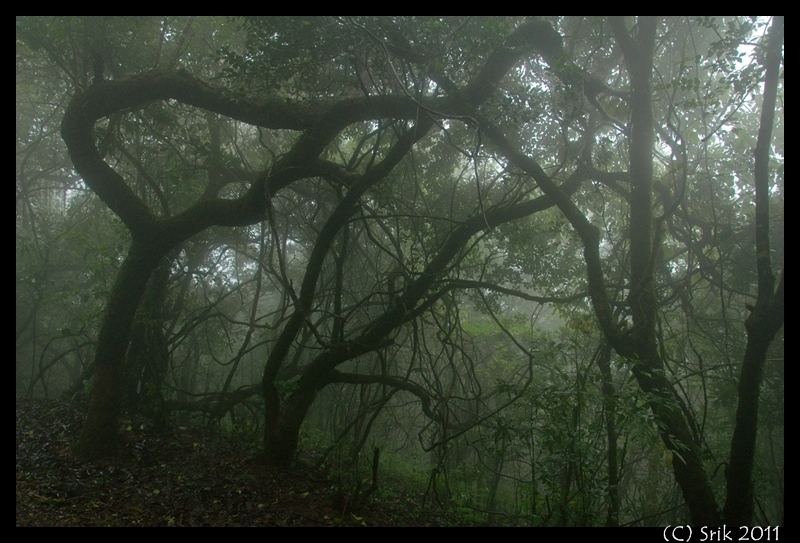 I always love the mist and I absolutely enjoyed my walk with those green things around me in between the white patches of clouds. Sometimes it used to get dark and at times we were lucky enough to get the clear view of the Sahyadris. 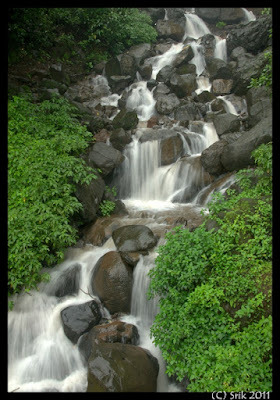 There were numerous waterfalls on the way and it was absolutely awesome feeling to see them in full flow. One best thing that happened was that our visit to the waterfalls was on a Saturday. And not Sunday. You know what i mean!? Another place that we visited was the Mahadevgad. This breathtaking edge is also at a distance of 3km from Amboli. There were many orchids in bloom on the way and a variety of fungi as well. I also enjoyed the wild jamun (?) that I ate on the way. I also had another objective during my visit. 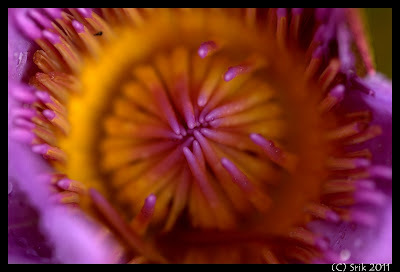 It was to use my new macro lens and experiment some shots. Unfortunately I could not use it much, but for some of these shots below. 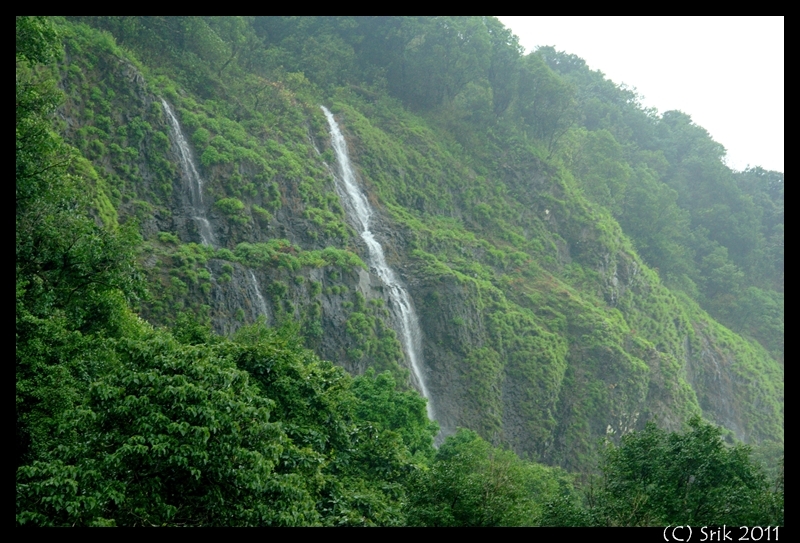 Amboli, is a beautiful and a worth seeing place. However, as in the other parts of the Sahaydri Hills, denudation of the forest cover and unregulated government assisted "development" (read "hotels, resorts & highways") are gradually ruining a once pristine environment. And ofcourse those criminals who come and throw their plastic here! 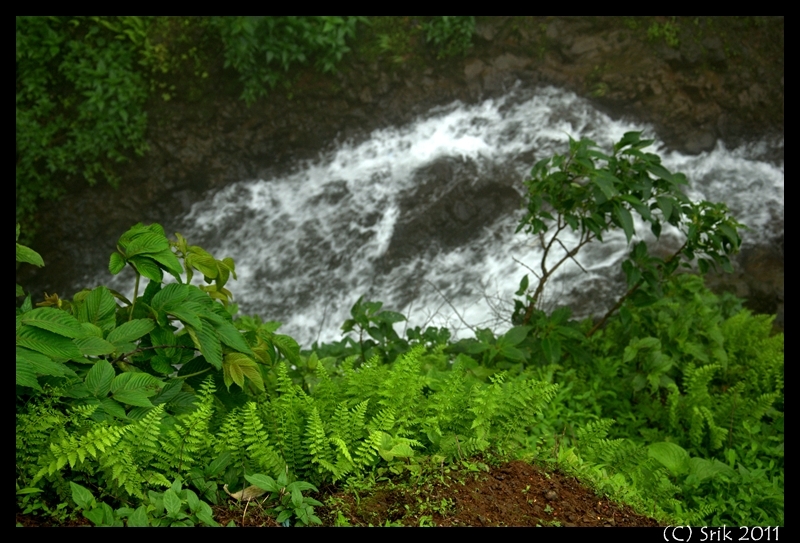 Experiencing the rain in Amboli made me super happy! After a scrumptious dinner followed by some nostalgic discussions at my friend Gajanan's place in Belgaum, headed back towards the concrete jungle! This is an amazing place as your travelogue indicates. Thanks for sharing your experience. you reminded me of what I'm missing this monsoon just staying in the concrete jungle. 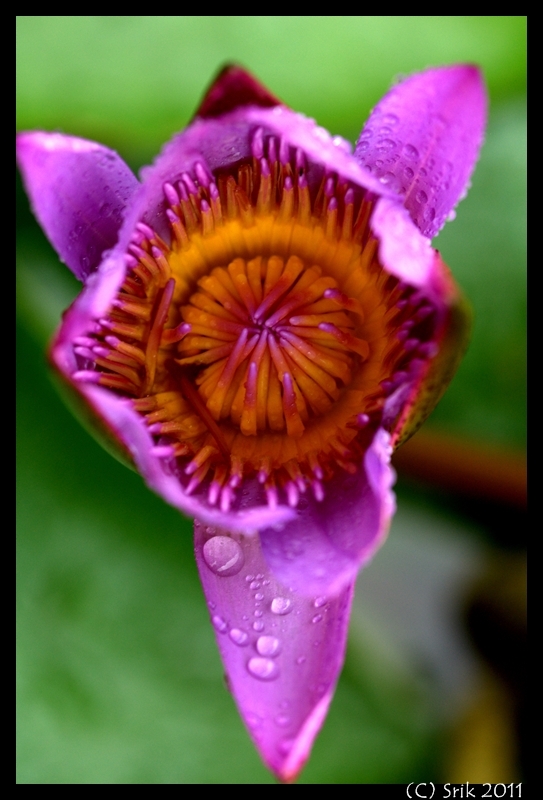 Awesome photos, Srik. Soothing to the eye and makes one want to be transported to the place. The succinct text gives a very good context for the splendid photographs. The photographs are magical indeed. Vegetation enveloped in fog makes some of the pictures eerie. It is tragic that we visit these beautiful places and leave a legacy of ugliness with refuse and garbage. Sometimes I have wondered if this desire to desecrate nature stems from our superstition with the "evil eye" or drishti concept. 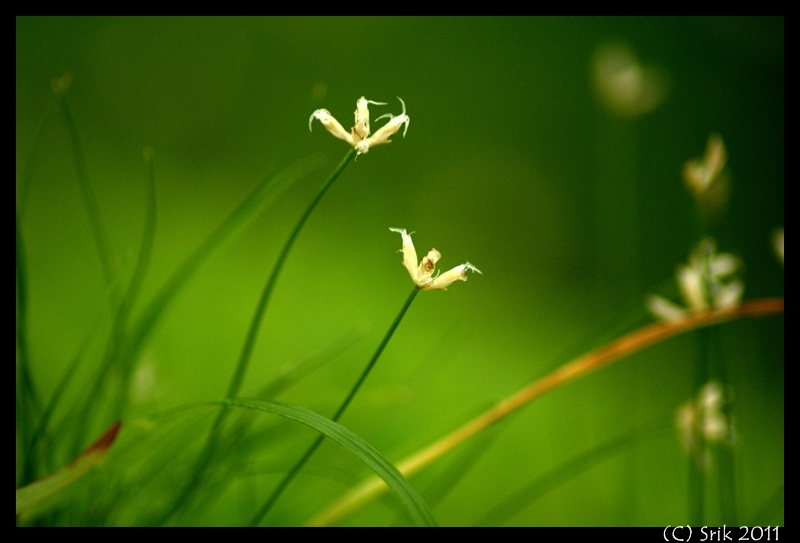 Maybe, nature despoilers do not want to see drishti fall upon beauty. I could cry. Hotels, motels, guest houses,restaurants are all variations on the theme of drishti mirrors, drishti ganeshas, and drishti budhugumblikai. We do not appear to work with nature. Your essay and pics are evocative and make me want to visit the place. Thank you. @Kowz: Monsoon is still coming along :) you have some more time to experience it this year! @Narasim: Thanks. Yes, as you say I guess it is an 'evil eye'. Hey! The photos are amazing. It reminded me of monsoon Aagumbe trek. 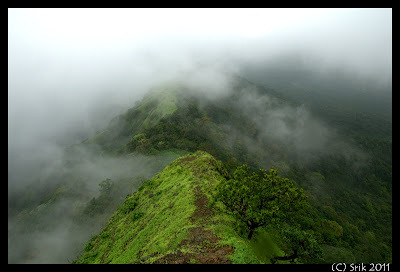 Sahyadri belt is definitely heaven on earth. Will there be good waterfalls during October end? oh yes! October will be beautiful too! 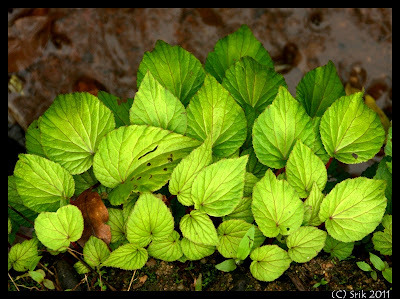 I came across your blog through Google as I was trying to do some research on Amboli. I have already planned my trip wherein it would be 13th to 16th July at Amboli this year. I see excellent photographs here which implies you have a DSLR. I am also an enthusiast and own a Canon 7D. This may sound funny but I was a little eager if you can share some information on how did you manage to keep your Camera safe.